Have you missed me?! Soooo much, right? I thought you might, so I have a fantastic post just in time for you to plan your Thanksgiving weekend shopping. Whether you are out shopping for the greatest deals of the season or avoiding retail stores like the plague, you’d better start planning the greatest Ugly Holiday Sweater or Outfit we’ve ever seen this side of the Mississippi. I just wanted to show you how epic your sweater can should be for our Ugly Holiday Sweater Party happening from 7 p.m. – 11 p.m. at Dublin City Pub on December 1st. 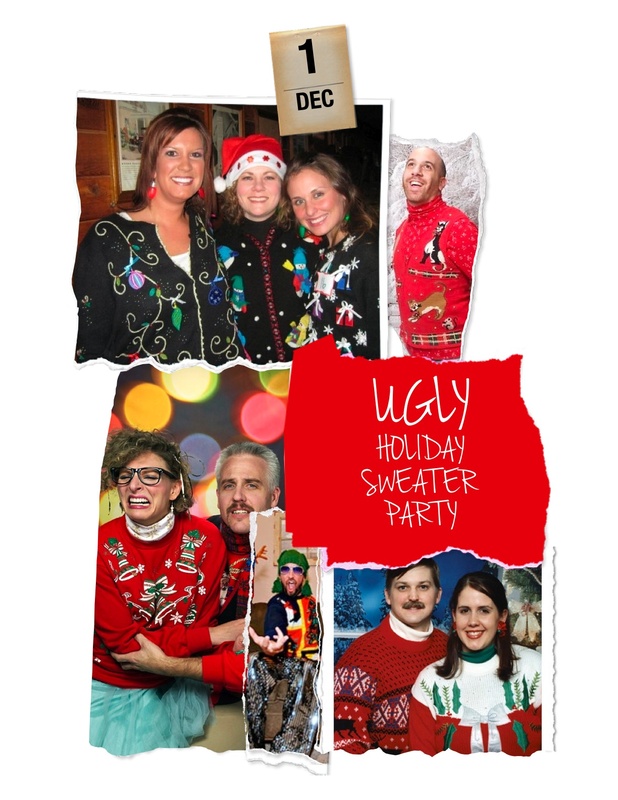 Join ImpactCR and Z102.9‘s Clare and Tyler Ryder to cheer on your favorites during the Ugly Holiday Sweater Contest. If you think you have what it takes to walk the runway in your holiday best in front of the likes of Nicole Agee and other local celebrity judges, consider entering the Ugly Holiday Sweater Contest and strut your stuff. It costs $5 to enter and the entertainment value is priceless. Gather your closest friends and family and get together some of the best worst ugliest looks ever! And don’t forget… Z102.9’s Lady J will be mixing the hottest holiday jams, so we can dance party the night away. That’s right… DANCE. PARTY. Ok, so maybe that will just be me and my people, but you’re welcome to join in on the fun. Stay tuned for a recap from this EPIC Holiday evening. Want a list of all of the activities during the Fire & Ice Festival? Click here to get your plans for December 1st and don’t forget to get that babysitter, dog sitter, whatever sitter, because this is one party you don’t want to miss! See you in your ugliest!